Bad weather played havoc with the Rye Rugby Club football surface and an inspection was required before kick-off for the match on Saturday December 1 against Bexhill Town. Once the pitch was given the all-clear, the game went ahead but with Rye Town taking a 0-4 drubbing, Rye probably wished the game had never started. 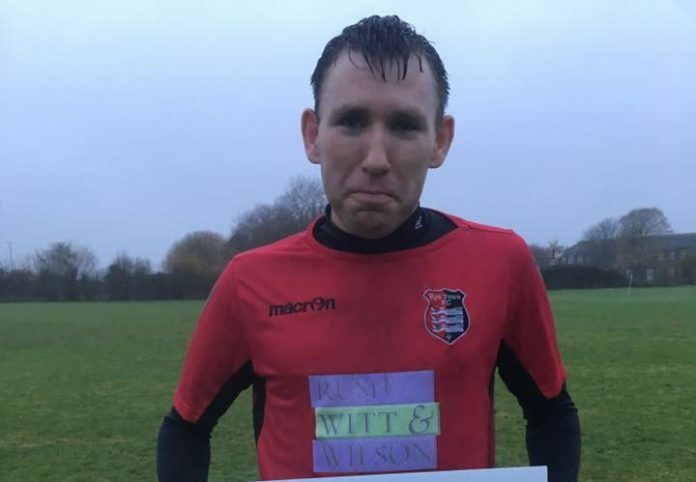 Two goals in each half gave Bexhillall three points and put them on top of the East Sussex Premier League table with 27 points, three points clear of second place Battle Baptist. Rye Town FC are mid table with 12 points after 10 games played. Rye Town’s man-of-the-match award went to Craig Pierceand the match sponsors were Pikes Laundry Services. Rye Town FC will not be playing this weekend as the team are supporting the Rye Christmas Festival. Next up will be an away game versus Robertsbridge in the league on Saturday December 15, kick off 2pm. The match will be sponsored by EW Production Services Ltd.